Selling and sales techniques have been around forever. In fact, it started around 6000 BC when people traded all sorts of goods and services, such as weaponry, food, or tea. The problem before money came around was that there was no way to assign a value to the goods and services that were being traded. Is a goat worth two pairs of shoes? Is salt a more valuable commodity than butter? Clearly, even in today’s commercial world, the value of something is related to what someone is prepared to pay and what you’re prepared to accept. That’s true whether you’re buying a car or selling your time as a service. The early traders had to establish a system of value or worth where they could get what they wanted from the deal. Selling has, therefore, endured for ages in some shape or form and we have all experienced good and bad sales situations whether as a seller or buyer. We have all had to sell. Ever been on a job interview? Kids are the best salespeople in the world. Have you ever been into a store and seen a child on the floor kicking and screaming because he or she either doesn’t want to do something or wants a particular toy for Christmas? As a parent, have you ever given in to those demands just for a quiet life? Whilst we might not all be top sales performers, it’s important to grasp that selling is part common sense, part sales techniques and part a genuine understanding of the dynamics of how we all function and what we want from the transaction. Too many salespeople bore the pants off the prospect. They are only interested in themselves and their products and services. They blab on about what they offer and do. They ‘tell’ the prospect about this and that. They focus on what they want to say and forget about the prospect. The prospect becomes incidental to what the caller has already decided to say. The sad reality is that prospects don’t care about you, your products or services or your brochures and other marketing materials. They care about one thing and one thing only. Themselves. And the sooner you work that out that their business and their concerns are more important to them than what you’re offering, the quicker you’ll sell to them. We all know people buy people. We don’t buy from people we don’t like and from organisations we don’t trust. A fundamental part of the sales process is developing the relationship. How do you do that? This links to the point above. It’s about them not you. It’s about being genuinely interested in what they have to say and their challenges. If you don’t get them to like you, you have little or no chance to get past first base whether that’s in person or on the phone. Do you like talking to people that are dull, uninspiring and unmotivated? You wouldn’t spend long at a party with that sort of individual. It’s the same on the phone or face to face. If you sound uninterested, speak in a monotone fashion and show little or no motivation, there’s fat chance of you delivering a result. You need to be upbeat but not over-enthusiastic or the prospect will wonder what hit them. You are often the first contact that a prospective customer is with your organisation. Therefore, to them, you are the business. It makes sense then to make sure every interaction is positive and that you put a sincere smile on your face. In cold-calling terms, an often used expression is ‘smile when you dial.’ A smile transmits positive energy. Achieve that and you’ll see the positive outcomes increase. There are plenty of salespeople that love to talk. I had one customer tell me he’d had a call from a prospective supplier and, at the end of the call, he felt he’d been sprayed with a fire hydrant. The supplier didn’t pause for breath. They say that we have two ears and one mouth and that we should use them in that proportion. One of the most underrated aspects of selling is the ability to listen. Sometimes, positive sales execs get away with lower listening due to an extremely positive demeanour. But this can mask the reality that you can’t offer a proper solution if you don’t listen. Imagine walking into the office a consultant and complaining of stomach pains. You tell the doctor you have some pain and he immediately says ‘OK sounds like your appendix. It’ll have to come out’. You’d worry if that were to happen. You’d hope that the consultant would ask you a series of diagnostic questions that get to the root of the pain before assessing the situation and options and giving you some recommendations. Certainly in higher value selling, that’s a minimum requirement. Ask the right questions and spend more time listening if you want to win more business. The win:win scenario is a perfect world in most cases. It doesn’t always work that way of course. There are some hard-nosed salespeople that want to win at any cost. But in face to face selling, once again where the value is significant, it’s more about selling a solution and support / service where both sides feel there’s value in the deal. Where the client has screwed down the supplier to such an extent that there is barely any profit, there is a risk of resentment and corner-cutting. Assuming that the customer hasn’t perhaps checked out the market to vet suppliers and pricing, there’s a big risk that the day they do, the supplier is likely to be out of the door. Effective selling is ideally where both parties value the solution and both sides are aiming for the same result. If you can secure ‘trusted advisor’ status with your customers, there’s less chance of defection. Objections are a fact of life in selling. You have to learn to deal with them. If you don’t, you’ll win less business. It’s often said that objections are questions leading to a sale. They are requests for more information. They’re opportunities to inform, clarify and engage. 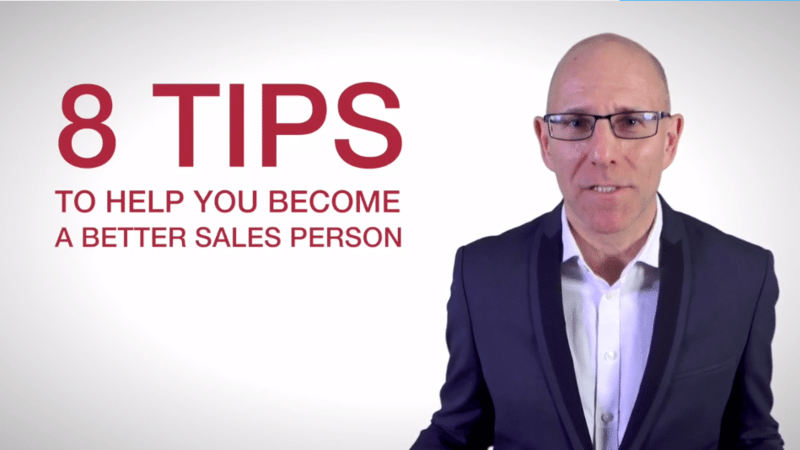 All too frequently, inexperienced salespeople tend to meet objections head on. The better approach is to ask good questions to filter and qualify. Use open questions to gain information. Don’t rush or get flustered. Don’t try to ‘persuade’ people of your position and the validity of your argument. If they’re given you an objection, try to understand the root. Clarify your understanding then provide any answers you can. But don’t go head to head. It won’t help. Remember that maintaining the relationship is important. And of course, if you can’t overcome the objection now, you’ve at least kept the door open for future opportunities with that client. Some you win. Some you lose. That doesn’t mean you should put in less effort or give up too easily. It just means that you have to accept that you can’t win them all. There’s no point allowing the loss of one deal affect the next one. That’s a double-whammy in the most negative sense. We all have to learn to handle rejection. We have to dust ourselves off and get back on the horse. Remember, the next customer doesn’t know that you’ve had a bad day. And if you keep things positive, you never know, you may well win the next one. If you’d like to know how GSA Business Development can help generate growth for your business through social media lead generation or telemarketing or you’d like to book one of our new business development and marketing strategy workshops, contact us now on 0845 658 8192 or use the form on this site. 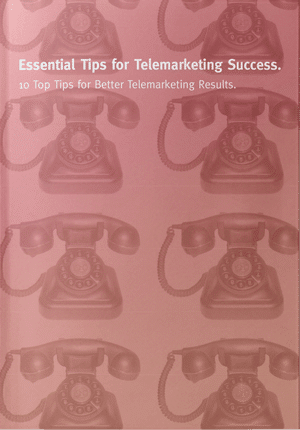 Telemarketing – Does Following Up Let You Down?